What would Cowboy Christmas be without a few of the top pro cowboys (and girls) stopping in Molalla on Independence Day? 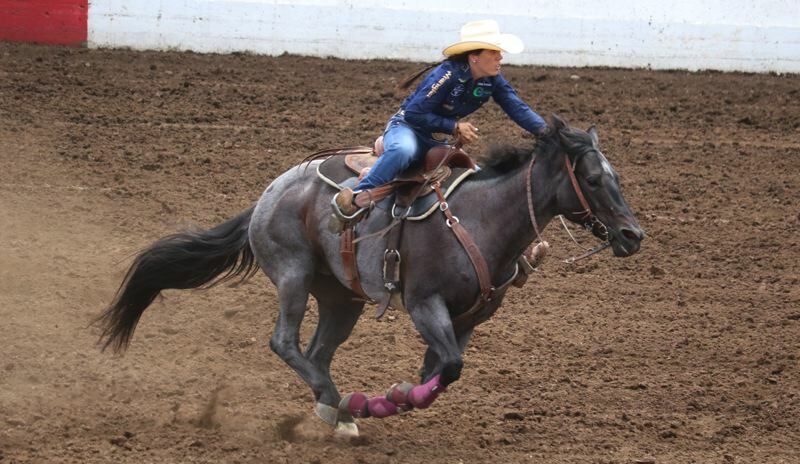 Stetson Wright of Milford, Utah, placed fourth in bull riding and finished eighth in saddle bronc riding to earn the all-around title and pocket $2,004 in prize money at the 95th Molalla Buckeroo PRCA Rodeo, which closed out a four-day run with two shows on Independence Day. Bull rider Ruger Piva of Challis, Idaho, cashed the week's biggest check when he took Honeycutt Rodeo's Cajun Rogue for an 84.5-point ride and earned $4,475 from the total purse of $118, 317. Levi Gray of Dairy, Oregon, scored an 83.5 to finish second in the bull riding, while Josh Barentine of Johnson Bayou, Louisiana, scored 82.5, and Wright scored 80.5 to round out the top four.